Background to the Austin 7. Herbert Austin's 7hp motor-car of 1922 did to motoring in the UK what Henry Ford's Model T did to the States, in that it brought affordable(ish) motoring - on four wheels - to the masses, albeit it in a much more compact package. Prior to the Austin's launch, the aspiring motorist either had to make to with a motorcycle (not ideal if you had a family), a cycle car, or dig deep for one of the fully-fledged automobiles that were available at the time. The Austin 7 changed everything. Introduced by Austin without the unanimous support of the Board's directors, who still felt that producing larger motor-cars was the way to continue despite the company's worsening financial state, the "baby Austin", as it would soon be nicknamed, would soon become a familiar sight on Britain's growing road network. The timing of the Austin Seven's launch couldn't have been chosen better. The Horsepower Tax, a method of calculating the cost of a motor-car's road fund licence, had been introduced in January of 1921. For every 1HP there would be a 1 GBP annual charge, based on a calculation dreamt up by the RAC. The Austin 7's engine came out at 7.8HP on all but the very earliest cars, leaving the motorist with an annual tax fee of 8 GBP. For comparison, the cost of taxing a Model T would be 22 GBP, the RAC's calculation being based on the engine's bore, rather than cubic capacity. Wanted: I'm interested in buying an Austin 7 project, something un-restored and off the road for many years ideally. Anything considered, but I prefer the pre-Ruby models, maybe a saloon, a sports model or a special. Also interested in parts to suit the A7, eg engine, short chassis, Ulster parts etc. My contact details are at the foot of this page, thanks. Austin 7s for sale, plus parts and literature. The following auction items are all set to end within the next few hours, so please call back again soon to see what's new. The 1922 Austin 7 Tourer, or "Chummy". 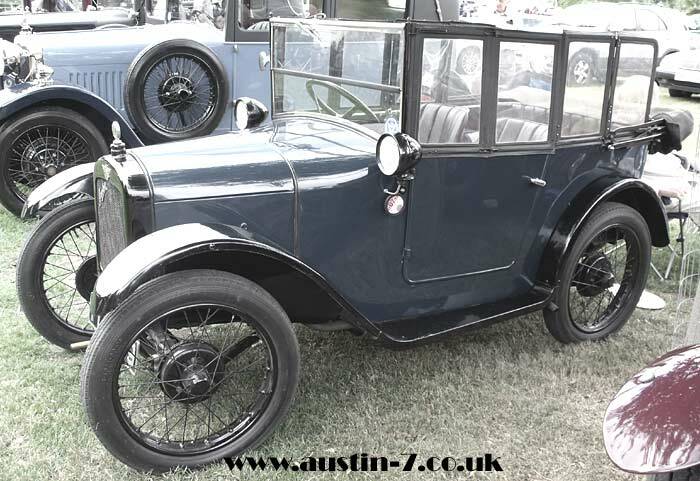 The first Austin 7s were available as a small four-seat tourer only, powered by a sidevalve engine of 696cc (later 747cc). 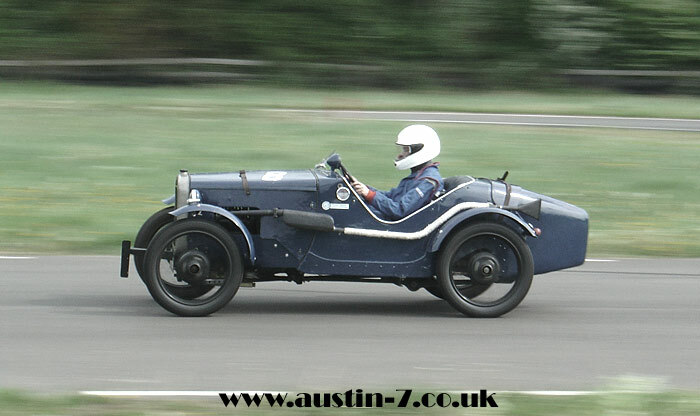 1923 would see the first full year of Austin 7 production, with 2,409 examples leaving Longbridge. In 1924 this would ramp up to 4,800 cars, still only available as a Tourer, or "Chummy". Buyers hoping for a saloon would need to wait until mid-1926 for their hopes to be realised, although they'd need to find an extra 24.00 over the cost of the tourer to buy one from the factory. A Chummy is shown below. Saloons and tourers would receive evolutionary, rather than revolutionary, updates over the following few years. A van version would be made available , while outside coachbuilders busied themselves with creating their own versions based on the 7's simple chassis and running gear. Perhaps best known are those by the Swallow Sidecar Company, with their stylish tourers and coupes. Enter the Austin 7 Ruby. By the early 1930s, rival manufacturers such as Ford and Morris were chasing at the small Austin's coachtails, with their 8hp Model Y and the Minor respectively. In response to this, Austin launched the Austin 7 Ruby (ARQ type) in August 1934. Immediately distinguishable from the outgoing Seven by its curvier lines, the entire vehicle underwent a revamp, headed by a new, curved body-colour radiator surround. The chassis had been lengthened slightly, and it wore 17" rather than 19" rims. Two years into production and the ARR version was introduced, visually similar to the Mk1 Ruby but now incorporating an increased slope to the windscreen pillars, while under the bonnet there was now a three-bearing engine, with pressure oil feed (something that until then had only been seen on the sporting Austin 7s). 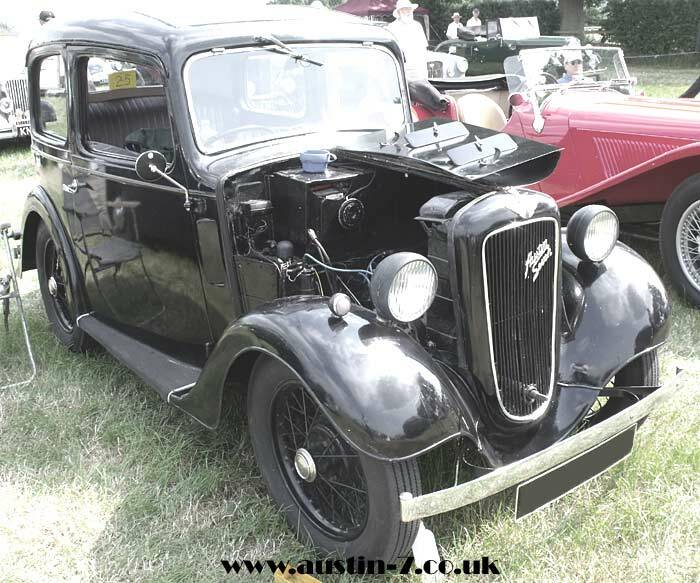 For 1938 Austin introduced the Big Seven, a four-door saloon similar-looking to the New Ruby, but fitted with a larger, 900cc engine. The final 7 saloon was built in January of 1939, with production of the final van ending in March of that year. An all-new 8hp car took over from where the 7hp car had left off, and continued in production until the late 1940s. It didn't take long for press-on types to realise that the combination of the Austin's lightweight design, and affordable price tag, leant itself to the build of competition cars. Cars competed at Brooklands throughout the 1920s, although it would only be in 1930 that the factory offered a sporting 7 - the EA Sports, or Ulster as it'd generally be known, to the man and woman on the street. Approximately 300 were produced, all featuring boat-tailed aluminium coachwork, some fitted with supercharged (pressure-fed) engines, while the others remained tuned but un-supercharged. There was also the EB 65, a softer replacement for the earlier Ulster, which evolved into the Nippy. Around 60 examples of the Speedy, a pointed-tail two-seater, were sold in 1934 and 1935. The ultimate version of the Austin 7 racing car was the factory-built twin-cam of 1935. Success didn't come immediately to the new car in the races of 1936, but 1937, 1938 and 1939 would see the fully-developed car reach its potential, with headline wins at venues such as Donington, Brooklands and Crystal Palace in London. The lengthy production run, coupled with the simplicity of the design and enthusiasm that has surrounded the car from its earliest days, has led to many Sevens surviving into the 21st Century. Most are now restored, but from time to time once-forgotten cars still turn up, offering someone else the opportunity to sample the baby Austin's undoubted charms. Go back up the page to view the cars and parts for sale.